Our clients not only get top dollar for their homes, but they often enjoy the process! Hard to believe, but our agents focus on your happiness and commit to making the transaction hassle free for you. We do this every day, but we also understand that most people only sell a handful of homes in their lifetimes, so our systems and processes are set up to ensure your experience is designed to fit your needs. Visit our custom valuation tool at MARKET WATCH page to see an online valuation from multiple sources. No online tool can give you an exact market value, the internet can’t see the condition of your property and often can’t evaluate the location like a licensed Realtor can. If you’d like a FREE no-obligation assessment, call us at 571-353-1531 or email info@novahouseandhome.com to book an appointment. We look forward to getting you the information you need so you understand all your options. There are buyers out there who are ready to make a move. If your goal this year is to move up to your dream home, what are you waiting for? Give us a call at 571-353-1531 or email info@novahouseandhome.com to schedule an appointment for a FREE no-obligation property assessment. Give us a call at 571-353-1531 or email info@novahouseandhome.com to schedule an appointment for a FREE no-obligation property assessment. 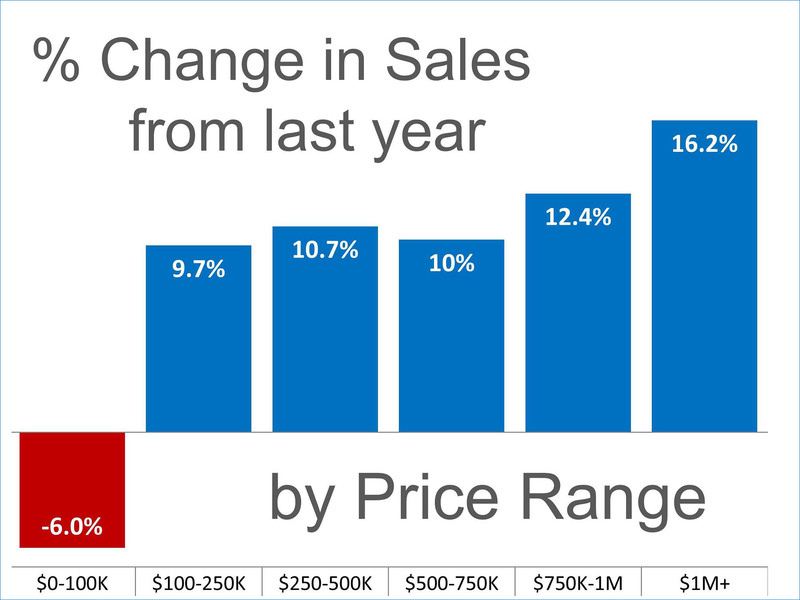 The National Association of Realtors’ most recent Existing Home Sales Report revealed that home sales were up rather dramatically over last year in five of the six price ranges they measure. Only those homes priced under $100,000 showed a decline (-6%). Every other category showed a minimum increase of at least 9.7%. Houses are definitely selling. If your house has been on the market for any length of time and has not yet sold, perhaps it is time to sit with your agent and see if it is priced appropriately to compete in today’s market. Give us a call at 571-353-1531 or email info@novahouseandhome.com to schedule an appointment for a FREE no-obligation property assessment. In today’s market, where demand is outpacing supply in many regions of the country, pricing a house is one of the biggest challenges real estate professionals face. Don’t ask your realtor to overprice your property – it’ll cause you to lose money in the long run. Great pricing comes down to truly understanding the real estate dynamics in your neighborhood. Look for an agent that will take the time to simply and effectively explain what is happening in the housing market and how it applies to your home. You need an agent that will tell you what you need to know rather than what you want to hear. This will put you in the best possible position. Give us a call at 571-353-1531 or email info@novahouseandhome.com to schedule an appointment for a FREE no-obligation property assessment.